Members of the Pre-announcement group will be first notified. I just completed an extensive collection of over 200 mastery files from my favorite photographs. A Mastery File is the Photoshop layered file that I use to make the fine art print of a specific image. No one got to see those until now if you order this new collection! Mastery Files are very important because they show you exactly how I did what I did. When you study them you see what I did to the original capture, how I did it, in what order and more. You can also copy the adjustment layers to your own file and duplicate my actions. Mastery Files provide a huge learning opportunity for an aspect of Photoshop that cannot be taught in any other way. I decided to give you the option of ordering the 200+ Mastery Files Examples Collection with the Advanced Adjustment Layers Mastery Workshop. A special offer at an hugely discounted price will be available for both when the Advanced Adjustment Layers Mastery Workshop goes up for sale. You can download the table of contents now by clicking here. This new tutorial will be released this fall. Right now a pre-announcement list is available. To get on the list simply email me at alain@beautiful-landscape.com with the words 'advanced adjustment layers' in the email subject. You will be added to the list and will benefit from special offers and lower pricing when this new tutorial is released.You will also be notified first. Simply click here to listen to the podcast now. You can also listen to it on the podcast page. The Advanced Adjustment Layers Mastery Workshop on DVD is similar to attending my 2 day Advanced Fine art Printing and Processing Mastery Seminar except that you don't need to travel and you can study the materials anywhere, as many times and you want at your own pace. 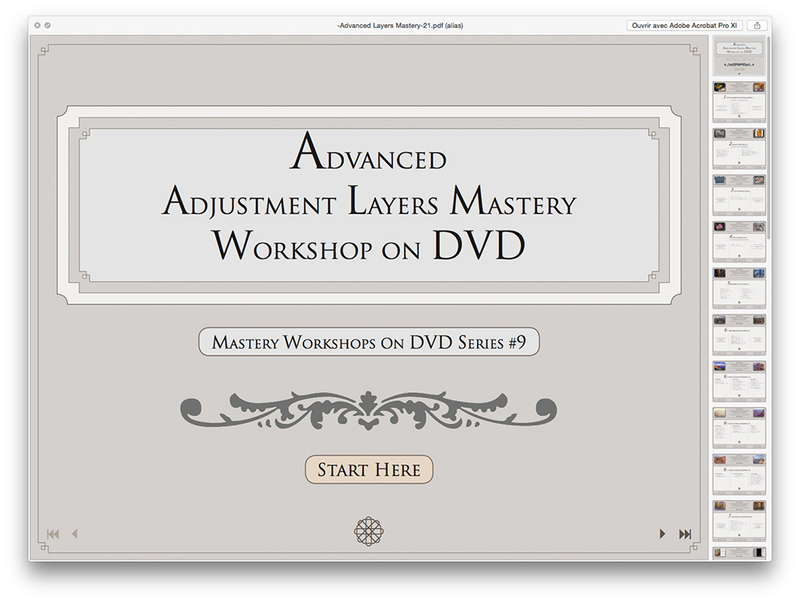 I am currently hard at work on the upcoming Advanced Adjustment Layers Mastery workshop on DVD or USB card. The text files and the audio file tutorials are completed. I am currently recording the video tutorial movies. In the Advanced Adjustment Layers Mastery Workshop on DVD I show you exactly how to process your images in the raw converter so that no image data is lost during the conversion. I also show you how you can recover image data that you thought was lost. In the Advanced Adjustment Layers Mastery Workshop on DVD, I show you the exact workflow that I use in the raw converter prior to importing my images in Photoshop and completing the image optimization, soft proofing and print proofing process there. Coming soon. This tutorial will be available this November. Not sure if this Mastery DVD is for you? 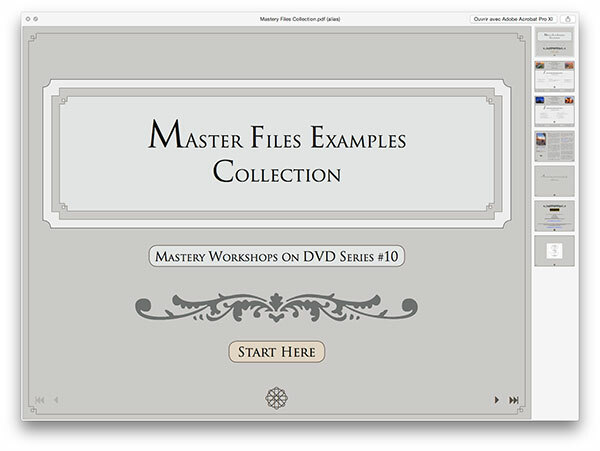 about the Mastery Workshop on Mastery DVD/USB series?